Insects make all kinds of noises for all kinds of reasons. 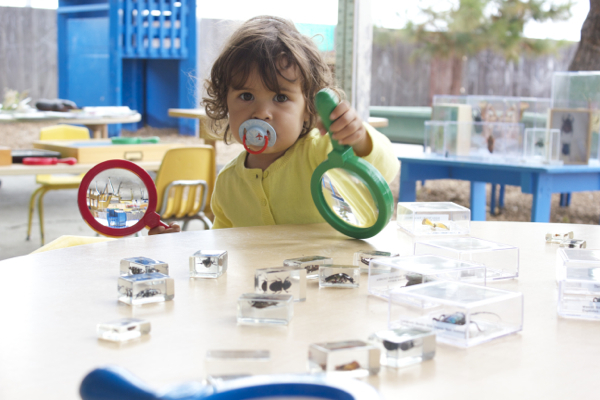 In the Bug Sounds preschooler class we’ll learn about how insects make sounds, what insects sound like, and play in the noisy world of bugs. Free Play – Buggy instruments. 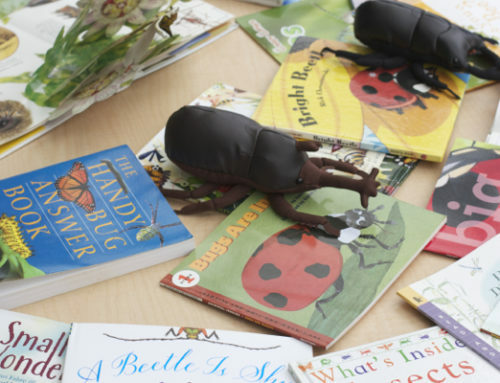 Story Time – Noisy Bug Sing Along by John Himmelman; “What did Beetlelady collect today?” game. 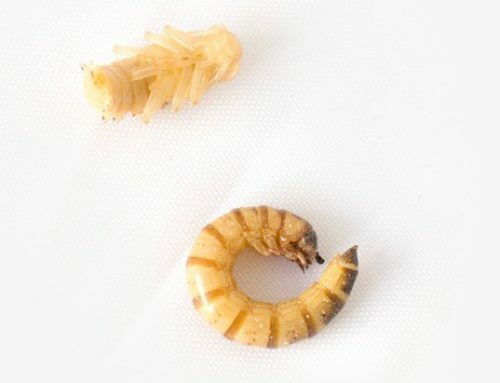 Live Bugs – Bess Beetles, Madagascan Hissing Cockroach, and Simandoa Cave Cockroach. Bug Song – “Insects Song” about all the noises bugs make. Buggy Art – Stomping, Stamping, Scampering Bugs. "Dr. Dole was the star of our event! She had an audience with an age range of 1 – 80 and every single person was thoroughly engaged and mesmerized. She has a knowledge and passion for science that I have rarely seen and it is infectious. She brought a variety of live and preserved animals, and artificial displays which really allowed all ages and comfort levels to explore what she was showing. Before the night was over we made plans for her to come back!" "Watching children go through the stages of learning to be comfortable, then playing and learning with Stephanie's bugs has been eye opening. 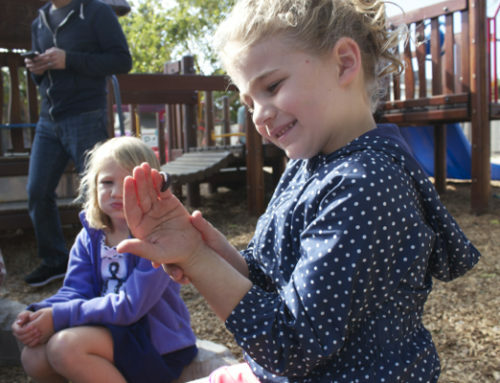 We ask children to please respect all life, yet nothing is more powerful than hands-on learning with her bugs! Inspirational to say the least!" "Beetlelady is a natural with children. She created so many junior entomologists at the preschool. My son included. It's really wonderful to see the children gain respect for the tiny and sometimes not so tiny insects and spiders." "We love having the Beetlelady visit our library. Kids and families are riveted from start to finish during her unique approach to presenting all things bug related. Stephanie's programs are a great addition to our STEAM programming lineup." "When my boys took her bug class, I was so impressed that she had lots of hands-on experiences with the bugs for those kids who were ready for that. She was very careful to not push any kids into touching or holding bugs unless they were ready and she had many opportunities to give information in a natural way. They also learned a lot about the scientific aspects at a kid's level. We would take the class again in a heartbeat." "The Beetlelady has an amazing ability to engage children and adults with her informational hands-on programs. Attendees leave with an appreciation of bugs and all they do for us and our environment. 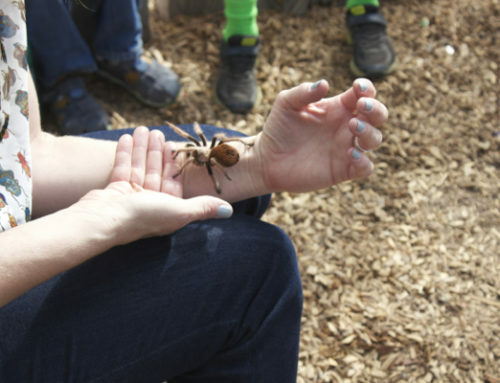 Our patrons love her programs and delight in the opportunity to see live insects up close." "My son attended a workshop at our nursery school. He was fascinated by all the bugs and couldn't stop talking about how fun and cool they were! 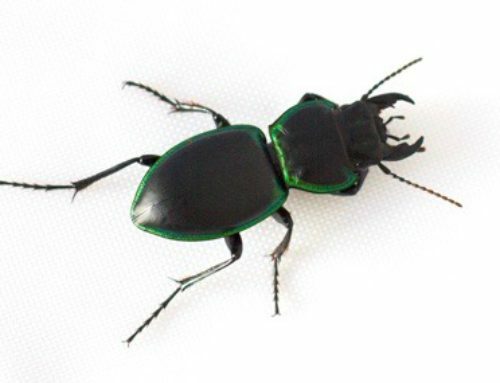 Thanks to Beetlelady he is very curious about insects and not scared at all." "We attended a Beetlelady event at Sharepath, and she provided a variety of activities, displays, and live bugs. Her “bug talks” were great for a wide range of ages and fascinatingly informative!" "Dr. Dole is one of those rare scholars who can successfully engage, no, enthrall, an audience of any age or education level. She has not lost her sense of wonder and curiosity, and indeed those qualities are contagious to those she interacts with. I have known Stephanie for decades and can attest to her empathy for children especially. I would recommend that you run, not walk, to any event featuring this outstanding human being." " Beetlelady hosted a booth at our elementary school science night. She was surrounded by a swarm of children all evening. Her knowledge of and fascination with insects is contagious, and her audience was captivated!" "Beetlelady adapted 'bug science' content and incorporated multi sensory supports into her presentation which made the experience meaningful, educational and very special for our students with significant disabilities. All students involved were completely engaged! "